Carnival Day has arrived. Four women are standing on the Promenade. 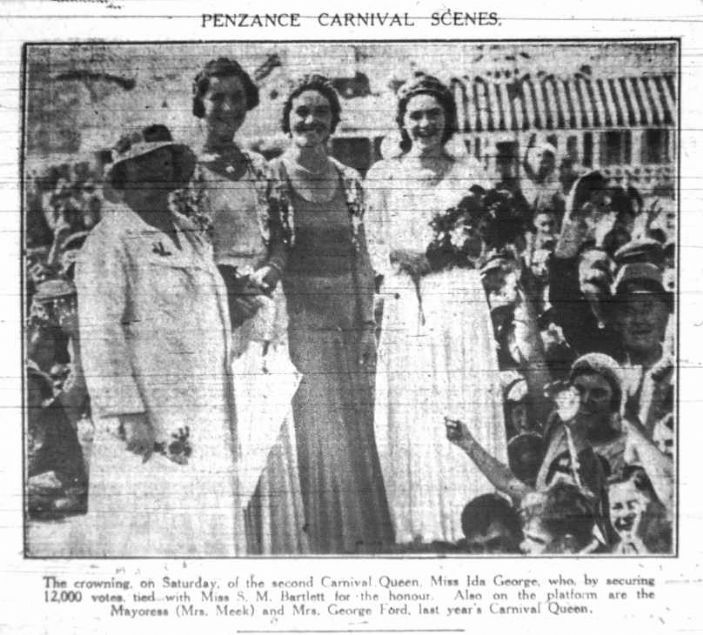 Two of them hold firmly to the belief that they are the rightful Carnival Queen of Penzance, 1933. Step forward, man about town 1933, and tell the story. ‘It was all supposed to be so straightforward. This was going to be the year of the “bigger, brighter, better” carnival. And one of the chaps on the committee came up with a rather clever idea – making a bit of a show out of choosing the Carnival Queen. A bit of harmless fun. Parade the girls around a bit. Then get people to vote. In fact yes, make it a bit of a fund-raiser. Charge people, tuppence a vote. Count up the votes, and put some barometers along the Prom. Show everyone how each of the girls is doing. ‘To start with, one of the girls - Ida George - was clearly in the lead. Lived in Quay Street with her family; worked at the steam laundry. That sort of family. All the way through, people would keep referring to her as a proper local “Penzance girl”, “the public’s choice” and the like. 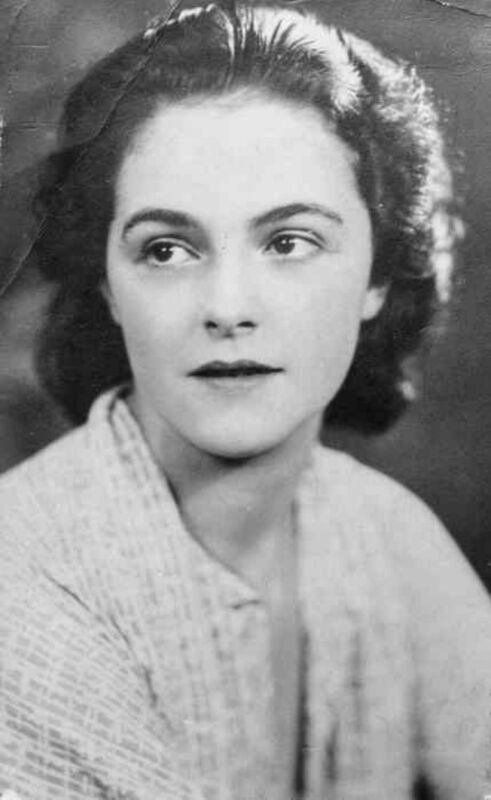 But then the second placed girl, Miss Bartlett – well, her father was a bank manager. Some kind of campaign got underway. People drumming up support, buying up votes by the load. Well, it was understandable. Not everyone wanted to see a laundry girl up there, all dished up as the best Penzance had to offer. And of course the committee was happy. It was all money flowing in. West Briton August 31 1933 gives the events of the day. The full story forms a chapter of the Penwith Local History Group’s 2016 publication, Women of West Cornwall, available to buy from the website or from local bookshops, which gives a full range of references.